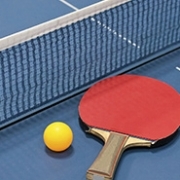 I recently read about an interesting experiment conducted by a table tennis coach, Ben Larcombe . Ben became fascinated by the idea that one could achieve mastery by practice, not innate talent. So he recruited his childhood friend Sam, a “computer geek” without any sign of sporting talent, and put him through a programme of over 500 hours of 1:1 coaching. Sam made dramatic progress – although one year of daily practice didn’t prove enough to make it as a top-ranked table tennis player. Malcolm Gladwell popularised the thesis that to become an expert in anything one needs to put in an average of 10,000 hours of practice – after 7 years at University, and 20 years of tutoring I can certainly vouch for the value of practice! One student from a prestigious public school came to me for an intensive programme of tuition over the long summer holidays, after getting a grade D in his maths exam at the end of year 10. We covered the entire GCSE syllabus in just over 30 hours and by the end of the 6 week programme when he sat a past GCSE paper he scored a grade A! Once students experience the fact that practice and persistence can pay off with maths and science, just as they do with other skills it’s a real breakthrough. Most of my students come from private schools with excellent sporting and music facilities – a lot of them excel in rugby, football, cricket, piano, violin, etc. Whilst they know the level of dedication required to attain excellence in those disciplines they often haven’t made that same connection with maths. In the Far East there is a very widespread belief that attributes success much more to practice and hard work than innate ability, so people tend to persist longer . Adopting this kind of attitude can be revolutionary for achievement! A Real Bankers’ Bonus Is “Average” the ultimate goal for schools?